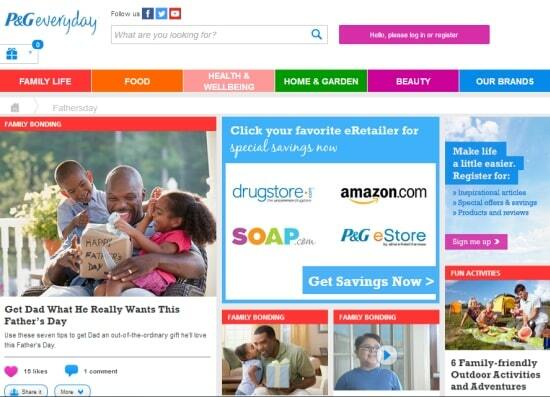 The P&Geveryday website is a one stop shop for busy mothers who are looking for a little bit of everything. There are a variety of topics covered, helpful articles and delicious recipes to help make life easier. With millions of websites available these days I can get overwhelmed trying trying to find the information I need. P&Geveryday makes it easy to find what I need by covering all the topics important to me in one place. P&Geveryday makes my life easier. Of course my favorite topic to visit is the Food tab at the top of the P&Geveryday homepage. It is broken into smaller sections that make it easy for me to find what I am looking for. 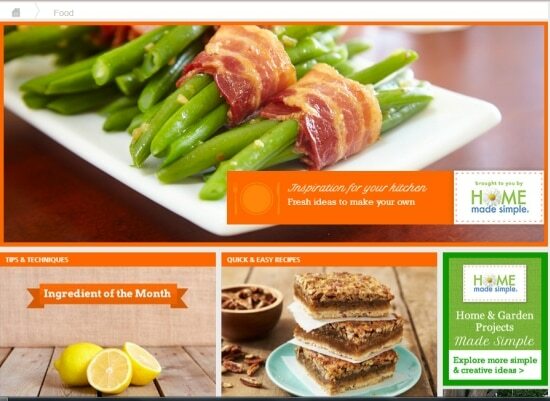 I can easily find Quick & Easy Recipes, Kid Friendly Recipes and even recipes suitable for Entertaining. That is just a few examples of what is available in the Food section of the P&Geveryday website. I love the Tips & Technique Section. This is where you can find all sorts of tips for anything food related and the kitchen. 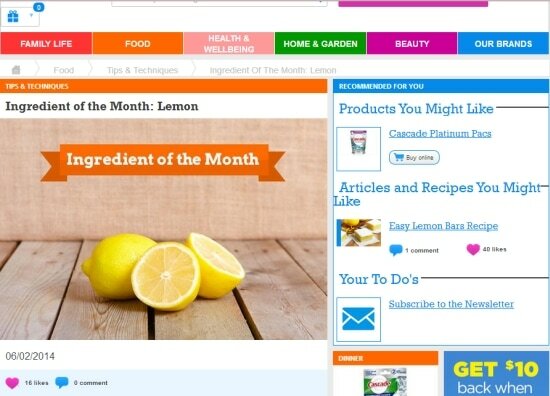 This month’s Ingredient of the Month is Lemons. You can almost smell the citrusy scent of the cut lemons in the photo. I learned a few things that I didn’t know about lemons reading this article! Check it out and see if you know everything there is to know about lemons. P&Geveryday™ is your online platform created by Procter & Gamble, a company that has been establishing brands for the past 175 years, helping people around the world have extraordinary days. Every day.